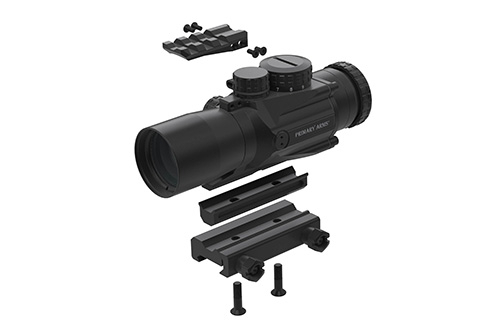 The Primary Arms 5x Compact Scope GEN2 is ideal for tactical or sport shooting when you need a single, lightweight scope to do it all! 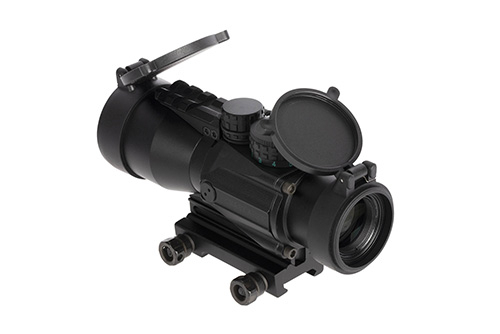 It features our patented ACSS® reticle, providing quick ranging, wind holds and moving target leads. 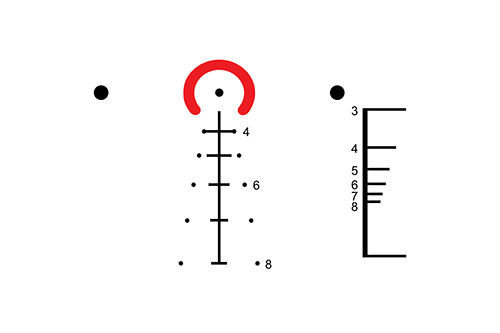 The ACSS reticle can be used with 5.56 NATO, 7.62 NATO/.308 Win, and 5.45x39 calibers. 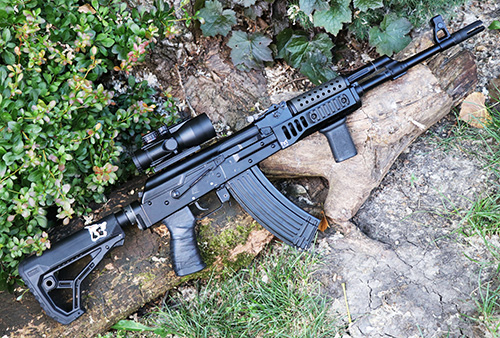 The 3x Compact Scope is very fast from 0 to 300 yards, and very accurate from 400 to 600 yards. The etched reticle requires no illumination, but 12 brightness settings are powered by an included CR2032 battery. The PAC3X Gen II has even greater flexibility than ever before. The modular base includes a spacer allowing it to be configured for AR-15 / AR10 or AK-47 / AK-74 pattern rifles with ease. The included thumbscrew mount can also be removed and replaced with any mount that accepts AR-15 carry handle-type optics. The top rail, perfectly suited for your favorite accessories or piggy-backed red dots, can also be removed for a slick look and reduced weight. 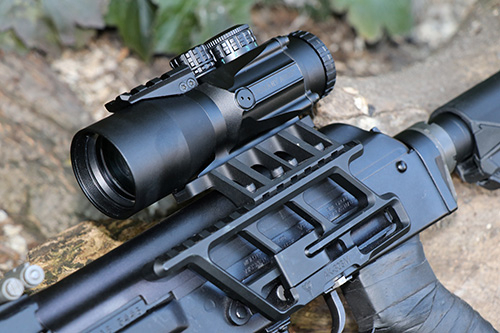 The PAC5X offers the perfect amount of magnification to balance close quarters speed with hits at medium range, in a flexible and durable package. Illumination could be set to Red, Green or No Illumination. 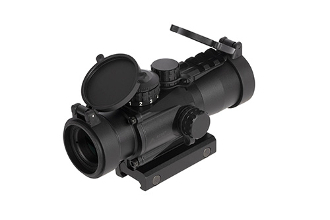 The scope is extremely durable, designed to handle heavy recoil and extreme weather conditions.